My son stayed for some time in Madagascar earlier this year, and I asked him to bring along a beer for me. 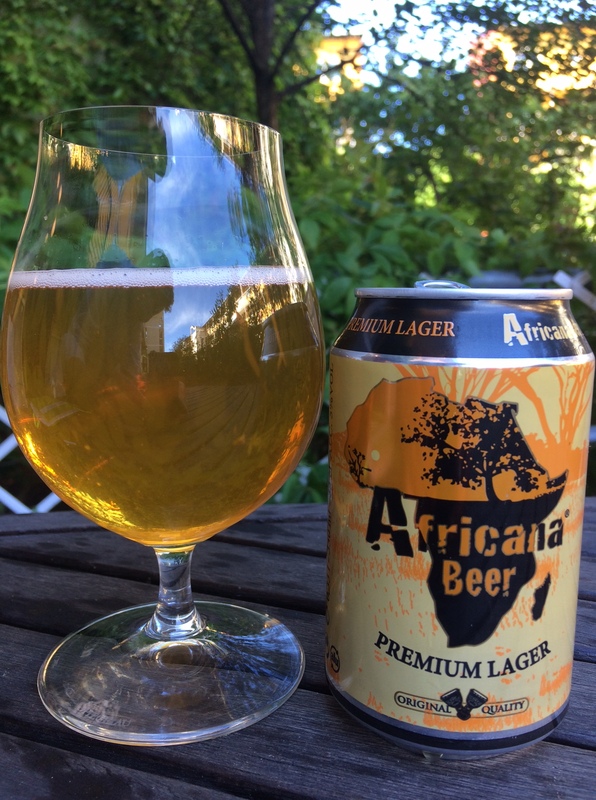 I received a few beers brewed there, but also this one – Africana Beer. It claims to be a premium lager, and is brewed for something called the African Beverages Company in Mauritius. But it is not brewed in Mauritius – or Madagascar. The beer is actually produced in Estonia and shipped to Africa. I’d think there were breweries a bit closer, but this is globalization. The ingredients are listed in five languages, including Afrikaans. So this can of beer was first brought to Southern Africa from Estonia and then all the way up to Norway again. And the beer? Quite malty, low bitterness. No flaws, no cardboard flavor. Quite all right when cold.